In between shoveling the fluffy white stuff that has been falling outside all day, thinking (merely thinking) about getting the boxes out of the basement to put away the Christmas decorations, and drinking copious amounts of coffee while spending too much time fooling around on Facebook, I have been trying to get myself motivated enough to do a post about yesterday's trip to New York City. 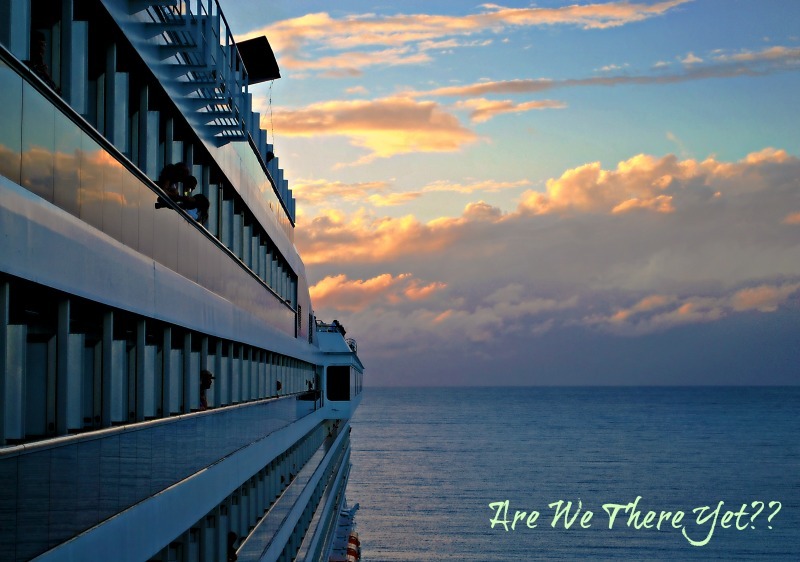 I think I have the pictures edited but that's as far as I've gotten! 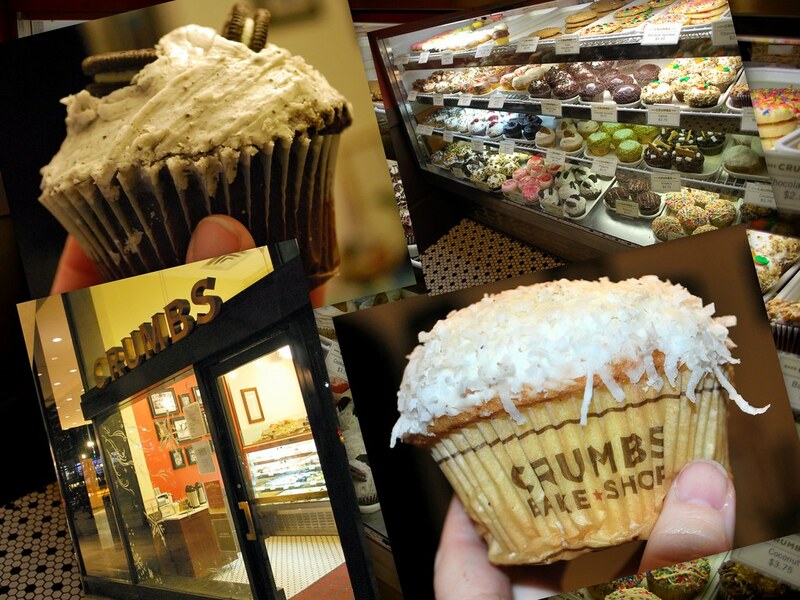 Yes, Virginia, there is a Crumbs bake shop across from Bryant Park! It's a tiny little place nestled in next to a FedEx store but it's definitely there and it's definitely got some fabulously big cupcakes in spite of the shop's small size. Amanda, Sami, and I were on our way back to Grand Central Terminal when we passed it and of course I had to stop, take some pictures, and buy a couple of cupcakes to bring home with me. I bought an Oreo cupcake for Amanda and a coconut one for myself as I just love coconut and we had them with a nice cup of Earl Grey tea when we got home. Yummy! Of course, what I didn't tell Amanda is that was the last cupcake she's going to be getting for awhile as we're both going on a new eating regime very, very soon. Ah well, if you're going to have a "last" something it's always wise to make it a good one and this was definitely good! Darned good thing the closest Crumbs shop here in Connecticut is a long, long ways from here - it's always better to have temptation like this too far away to easily get to! Perhaps next time we go to NYC it could be a treat as long as we're planning on walking it off again in the process! Anyhow, I will do my best to get that other post up soon. I just have to try to remember where I put that darned motivation I'm always misplacing! Never heard of Crumbs before. Perhaps that's a good thing. Just saying. this is the absolute best title for a post i have ever read. i keep repeating it to myself... sigh. Those cupcakes look yummy! I'll have to look for Crumbs next time I go into the city. I was watching cup cake wars today and craving a nice big moist one. Mmmmmm...cupCAKES! When I can't get a full CAKE, a cupCAKE will do. Lack of motivation must be a seasonal thing. I have a long list of things I should be doing...., the cupcakes do look great. I too am starting a very strict diet beginning Monday. My little sister just announced her wedding date and it's only 10 months away. I have 10 months to lose 100 pounds. THat's not a lot but at least it's a goal. Wow, those cupcakes sure look yummy! I think I'll have one now! Sadly, I think we don't have Crumbs in here. that cookie one looks way yummy! Those cupcakes look wonderful. I've never heard of Crumbs. Now I must see where they are in the Nutmeg State.